What better way to celebrate using a new studio than recording a classic, acoustic, folk song? The ZolderStudio (LoftStudio) has moved! 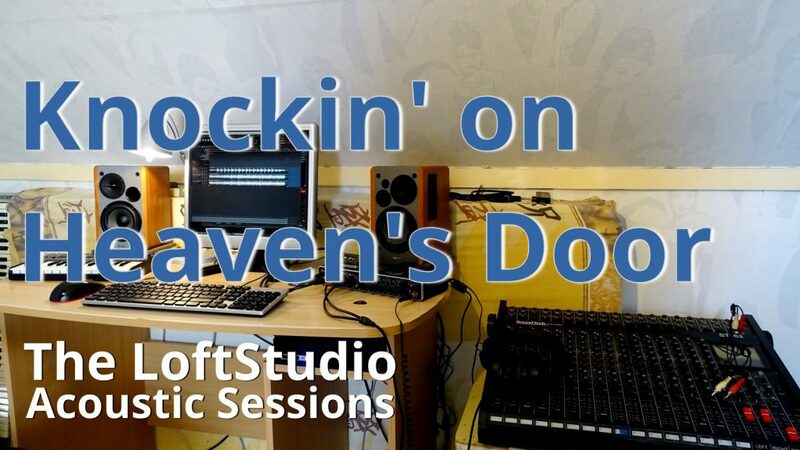 So I did some test recordings and one of them is Dylan’s “Knocking on Heaven’s Door”. And I did not only record the song, I made a video of the recording session. It’s just a simple “one-take recording” using my MXL770 for vocals, a t.Bone EM700 for the guitar and I’ve used the Behringer UMC404HD as an interface. The DAW I’ve used was Ardour (Linux). I’ve also made a short video about the move to the new studio. A full studio tour will be made as soon as the studio is setup completely. I’m still waiting for acoustic foam, ordered a floor carpet and there are now new monitor speakers too. So subscribe to the channel to receive updates! Full Back Catalog Now Available as a FREE Download! 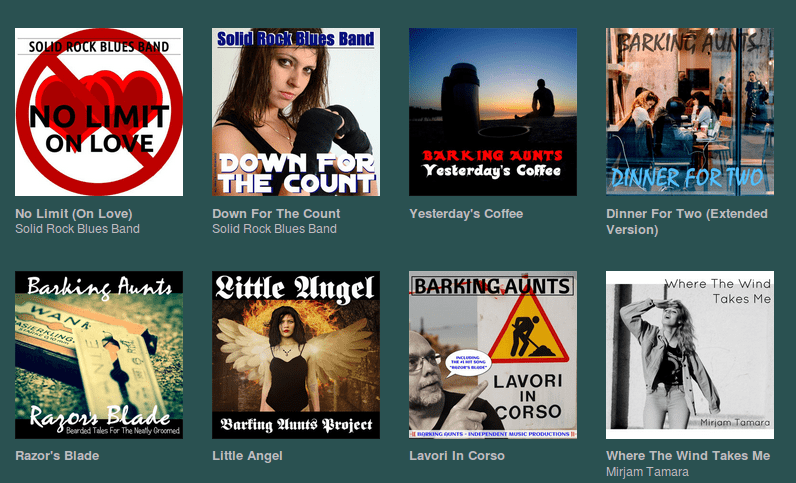 As of today, the full back catalog of the former “Barking Aunts Project” and the “Solid Rock Blues Band” are now available for FREE at the BandCamp website. Except for our most recent Single, No Limit (On Love) all albums, EP’s and other materials are now available as a “whatever you can afford” FREE download. The only thing we ask in return is your email address, so we can send you updates about the projects and albums. Don’t want to receive email updates? Donate a small fee and we won’t bother you! WHY DID WE DO THIS?! You might wonder why we are now offering all music as free downloads. The reason for this is simple: over the years we’ve spend a lot of time and effort in recording music. Publishing it. On Spotify, for example, this resulted in well over 33,000 plays/streams. We got paid US$ 1.35 for those 33,000 streams. That’s what we consider a total and complete insult. So, since they’re giving it away – why don’t we? And get something in return: a way to get in touch with the people listening to our songs. We will continue to make singles, albums and EP’s and make them available on commercial platforms (since they will put them on Spotify, iTunes and so on). But on our BandCamp page you can get them for free. Except for the most recent publication. So, the back catalog, as of now, will be free. Forever. As soon as we publish something new, it will be for sale and the previous single, album or EP will be set to “free download” and so on. 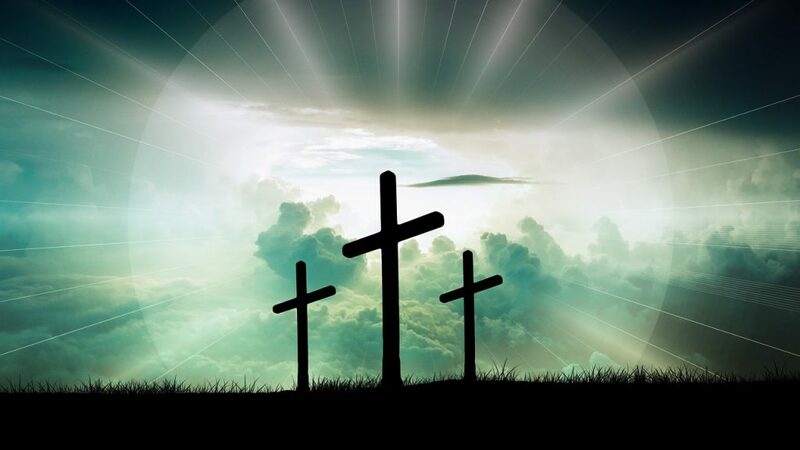 Classic Christian Hymn’s, will we ever stop singing them? When growing up, this was one of the songs I heard a lot, in Dutch. The original version, in English, is also a beautiful song of comfort for those who feel alone, are worried or in need for some emotional support. If friends forsake you, there’s always that one Friend you can rely on: Jesus. I’ve been playing in Worship bands, in Church and Bible groups, for many years. Playing this song always moved people in the congregation. That’s what I like about it so much: simple words that touch people’s heart. I’m sorry to say I dislike most modern “worship” songs. Most of them are very standard: repeat line after line all the time, same melody all over and based on popular structure we see in most popsongs (Verse -Chorus -Verse – Chorus – Bridge -Chorus) where there’s a lot of repeating in the verses as well as in the chorus of course. From a songwriters point of view this is not very creative songwriting at all. It tries to play with peoples emotions, build up to a certain point (emotional). Feel good songs, no “depth” in the lyrics at all, all along standard patterns as far as the music is concerned. Same popular chords all the time… (and I know, since I’ve been playing them over and over again for years at worship!). So, anyway — I prefer the older hymns. They have a simple structure too, agreed. But, the words, the lyrics, have -in most cases- so much more spiritual depth! So I hope we will never stop singing these songs since they give us so much comfort, relief, hope and.. they talk about the Good Lord in a way modern worship songs can not and will not do! When recording this song I opted for a slightly faster version as is used in most congregations. This is how I was used to play it in the worship bands – more like an up-tempo “country” song. The song is available for free at SoundCloud. I’ve also re-recorded the vocals for another gospelsong, “Day By Day”, that I posted earlier. I also remixed it a little. It’s also availble for free at SoundCloud. 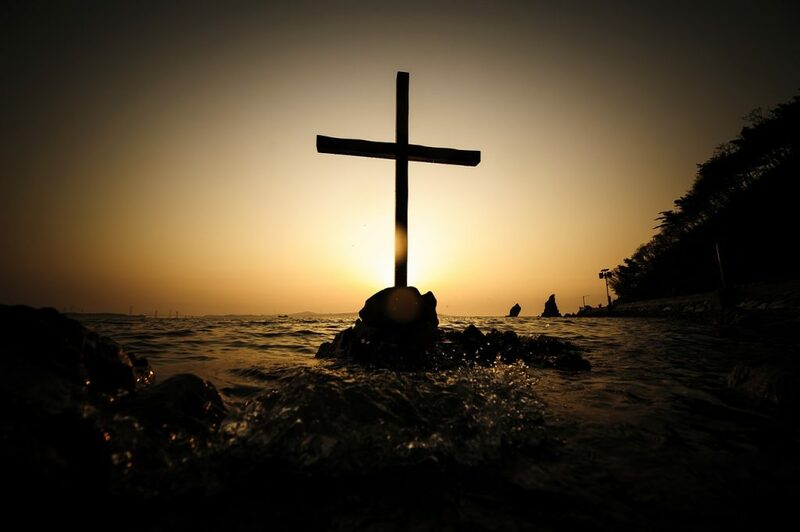 Wikipedia – “Day by Day, is a Christian hymn written in 1865 by Lina Sandell several years after she had witnessed the tragic drowning death of her father. It is a hymn of assurance used in American congregational singin”. A song lesser known in Europe, even though it was written by a Swedish songwriter. It is popular in the USA and I happen to like it a lot. I’ve made it slightly more up-tempo. What I like most about this song is that it’s got a less common melody as most hymn’s have. Over the years I’ve recorded several more classic gospels and hymn’s. You can find them at this play-list on SoundCloud. 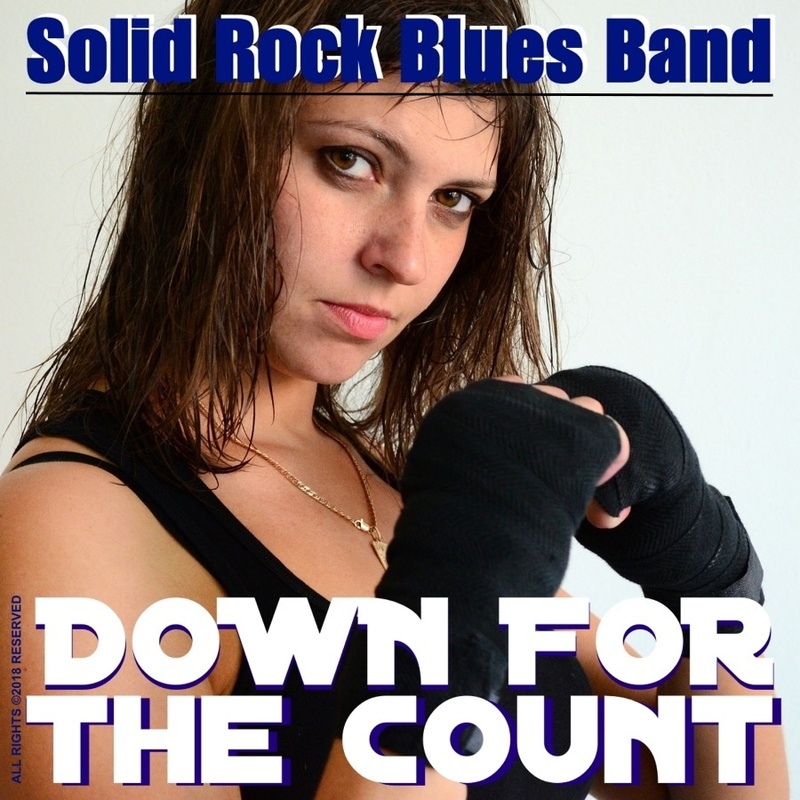 Today the new album of the Solid Rock Blues Band, a solo project by Rudy, was released. The album is available trough many on line streaming services and as a download on many websites. The album includes original songs and some covers. Most of the songs are blues or country inspired. Covers included songs by Larry Norman, Rex Griffin, Bobby Braddock & Curly Putman and Bob Dylan. Also included is the well known song “House of the Rising Sun”, a traditional song made famous by The Animals (and many others). All instruments and vocals on the album are by Rudy. The album was recorded at the Loft Studio (Zolderstudio). It features a Gretsch Electromatic guitar on many tracks, as well as a vintage Hondo guitar. All recordings were recorded and mixed using Ardour running on a Linux based system (KXStudio). I “grew up in church” (Reformed Church) and love these old hymn’s. I’m still a believer. Though some of my opinions have changed over the years. I’ve left the church of my youth and am visiting another church (Baptist) these days after wandering trough some different directions. In Baptist chruches they play and sing more modern songs these days, you know “worship”-stuff. Anyway – I think these old hymns still are great. Glad we still sting them now and than. But you won’t hear my version in church I’m afraid! I’ve ”reworked” this one into a more up-tempo song with drums, guitar and bass. It’s available at Audiomack and SoundCloud, for free. It’s almost Christmas right so it’s good to hand out a gift! One of my all-time favorite songs by Bob Dylan that I’ve played many, many times. On stage, but in the studio also. I’ve recored a few versions of it in the past, but never felt really happy about them. So I did and here it is. Hope you like it. The song is available as a free download. Under Section 107 of the Copyright Act 1976, allowance is made for ‘fair use’ for purposes such as criticism, comment, news reporting, teaching, scholarship, and research. Fair use is a use permitted by copyright statute that might otherwise be infringing. Non-profit, educational or personal use tips the balance in favor of fair use.